The PS-1 Caliper is compact, lightweight (.93 pounds) and combines the strength of cast aluminum construction with a sleek low profile design. 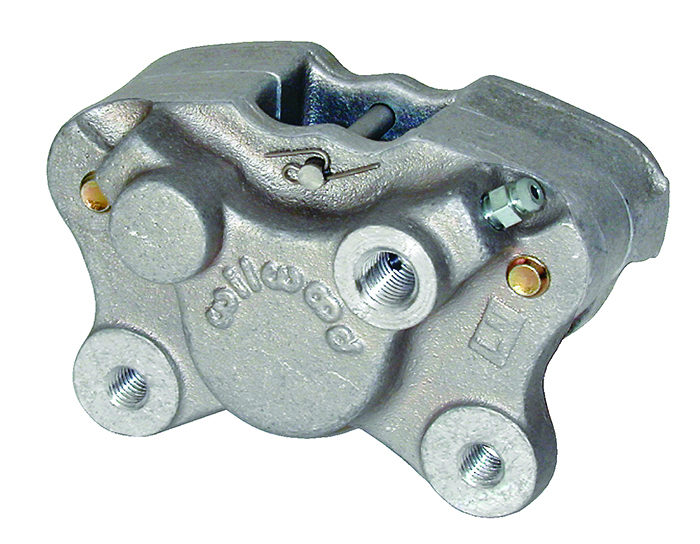 This caliper utilizes two stainless steel deep cup pistons to minimize heat transfer from the .30” thick pad to the brake fluid while employing high temperature square piston seals to control piston retraction. 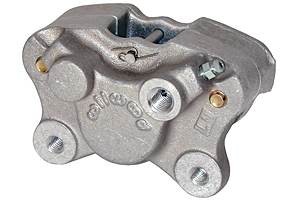 Internal crossover brake fluid passages eliminate the use of external crossover tubes. 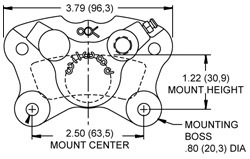 The PS-1 fits rotors with diameters ranging from 6.00” to 9.00”, thickness sizes from .15” to .20”.